NIGHT OUT WITH LIVE TANGO MUSIC! Enjoy a night out on the town with other music lovers! Our private curated concert outings take you beyond the commercial tango houses to experience first-hand the contemporary tango music scene of Buenos Aires. 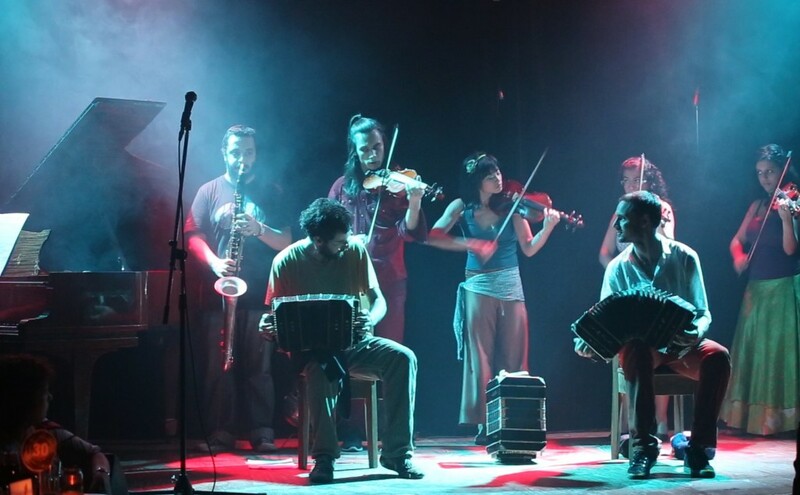 We introduce you to a thriving and diverse tango music scene – from jazz-inspired trios to traditional full-piece tango orchestras, from electronica-fused tango to its punk-rock expression. Learn about the fascinating history of tango, hear what the exciting music scene today has to offer, and see why many say tango music has entered a new golden age! Check out our video and photo GALLERY for a preview! Start time + Length: Tours start around 8:30pm and last approximately 3 hours. Our curated concert outings are hand-picked just for you. We choose from the top tango concerts currently on offer so that you can experience the best live music the city has to offer. Your guide will meet you at your hotel and travel with you by taxi to the concert venue of the evening. There you’ll enjoy a fine glass of Argentine wine accompanied by tapas, empanadas or other delicious Argentine snacks. Your guide will take you through the fascinating history of tango up to the present-day scene, giving context to the concert of the night. Afterwards, you’ll have the chance to experience a full live performance of tango music at its best! Concert outings are generally available Wednesdays through Saturdays. However, our tour schedule does vary from week to week depending on the concerts on offer in the city at the time. Please CONTACT US with the dates you are interested in so we can find the best concert for you! At Clandestino we don’t believe in one-size-fits-all tours. We work with local musicians, journalists and cultural tastemakers who have the inside scoop and carefully select each and every concert experience. This means that there will be variations in each tour to accommodate for the different venue locations and concert schedules.